Home » Engineering Technology » Getting Started with Electronics: Build Electronic Circuits! Do you have a cunning kid who’s curious about what goes on inside computers, phones, TVs, and other electronic devices? 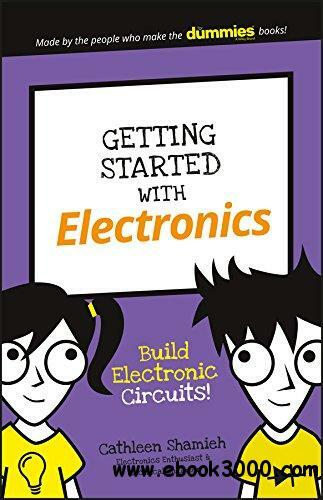 You may just have a budding Edison on your hands-and what better way to encourage their fascination with electronics than a book filled with projects they can complete on their own? In Getting Started with Electronics, your child will follow simple steps to safely create cool electronics projects using basic materials that can easily be found at online retailers or hobby shops. Just imagine your child’s delight as they use clips, switches, resistors, capacitors, and more to create circuits that control light and sound! From building a nifty LED flashlight to tuning in to a local radio station using a homemade tuner-and more-your little electronic wiz’s world is about to get a whole lot brighter!